Yes, P&PC has been a little slow to keep up with our usual schedule of weekly postings this summer, and we apologize for any inconvenience or disappointment that has caused along the way. But there have been good reasons for our delays and postponements. Sure, our intern budget got cut back. And sure, Polly the Paper Shredder and Sally the Stenographer surprised us all by eloping and tying the knot—legally—in Oregon. But then came the two-week trip to Rome and Venice, where (among other things), we visited the graves of John Keats, Percy Shelley, Gregory Corso, and Ezra Pound and fell head over heels for Gian Lorenzo Bernini's sculpture in Rome and Tintoretto's paintings in Venice. 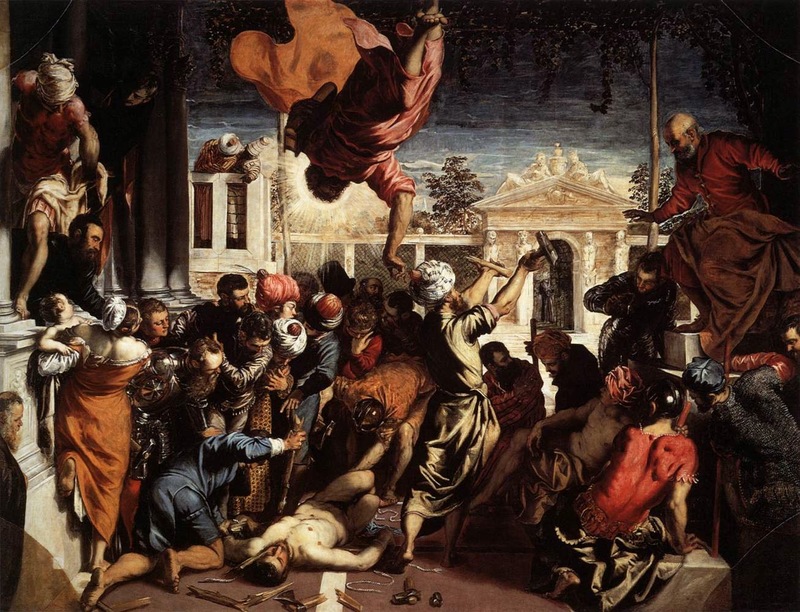 (That's Tintoretto's The Miracle of the Slave pictured above, btw.) And then came a trip to Iowa City where we worked, visited with old friends, and ate George's cheeseburgers for nearly four weeks. As you can probably imagine, it can be difficult to keep up the pace when out of the office, missing interns, and fielding happy pictures and texts from Polly and Sally as they do their cross-country trip honeymoon. 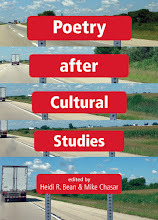 Critical Margins: What is your favorite example in the last year of popular poetry? This is a fascinating little TV moment, isn't it? Why make Dale a poet (or at least someone who has written a poem)? Why make it such a bad poem? And why have it read aloud and shown to the audience when it doesn't end up proving anything one way or another (for Boyd, at least) about Dale's true identity? It's also a fascinating little poem—precisely, I think, because of the nature of its badness. It begins with cliché, right? The kitschy abstractions like "my heart," "my soul," "my hurt," and "sorrow," plus the rhymes and meter of an amateur love poem, anchor it in unoriginal language, thus making for bad verse. But it's not uniform in its badness from beginning to end. Pushed by the need to find a rhyme for "sorrow," Dale's final metaphor ("the size of Kilimanjaro") is so not cliché that I can only describe it as truly original work—work, one might say, that reaches new, perhaps incomparable, heights of original badness. (He could have rhymed with "tomorrow," couldn’t he?) I suspect that, on some level, this verse dramatizes—in a way that "good" poetry might not be able to do—the scene's focus on whether Dale is actually Dale or an impostor masquerading as Dale. Is he the undercover Drew Thompson pretending to be someone else (the way cliché is "pretending" to be poetry), or is he really Dale (not pretty, but as original as his metaphor)? There's another aspect of this that's interesting, too. Dale has hidden his poem away, and, in finding it, Boyd essentially "outs" Dale as a poet—a drama that doesn't just offer a nice foil to the "outing" Drew Thompson plot but that also recalls similar moments in other shows. There's a 1973 episode of All in the Family in which Archie Bunker outs his hippie son-in-law Mike as a poet—what Archie calls "a regular Edgar Allan Poe-lock." There's a 1982 episode of The Jeffersons in which George is outed as having once written love poetry for Louise. There's the plotline in the first season of Rescue Me (2004) where macho New York firefighter Lt. Kenny "Lou" Shea is afraid that people will find out he's been writing poetry to cope with his feelings in the aftermath of 9/11. All of these scenes associate poetry with the closet and thus with queerness—as if our culture needed yet another reason to think that a dude writing poetry might be queer. (In fact, Shea's story is paralleled by a plot line involving rumors that some of his fellow firefighters are gay.) Even in Justified, the scene sets up Dale to be read as queer: he's downstairs late at night and not upstairs in bed with his wife, and in mentioning "Curt" rather than the name of the "her" in the verse, Dale's poem suggests, ever so slightly, that the "hurt" expressed in the poem comes from the pain of seeing Dale's secret beloved Curt kissing a girl and thus knowing that Curt is unavailable. You sit there straight as an arrow. Are you perhaps a gay ranchero? Dovetonsils, Kovacs once claimed, was based on none other than Ted Malone of Between the Bookends radio fame, whom audiences had only ever heard—a voice incriminated by its association with poetry that Kovacs, via the new medium of TV, was able to "out" as queer, thus making a case for the reliability or truth-telling power of TV over and against radio. I've come a long way from Justified, haven't I? 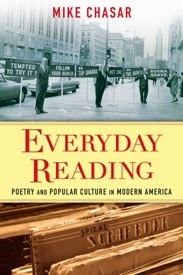 Maybe you now see a bit more clearly the types of vantage points that can open up via poetry in popular culture; it can be much more complex than it initially appears, with implications—in this case—for how we understand the taxonomies of poetic "badness," for how poetry has gotten linked to (indeed, how it's been presented as a symptom of) queer sexualities and thus has become a repository for cultural anxieties about homosexuality, and how it serves as an occasion by which changing media hierarchies are conducted. Kind of amazing, no? Please head over to Critical Margins for the rest of the interview? We hope you do.